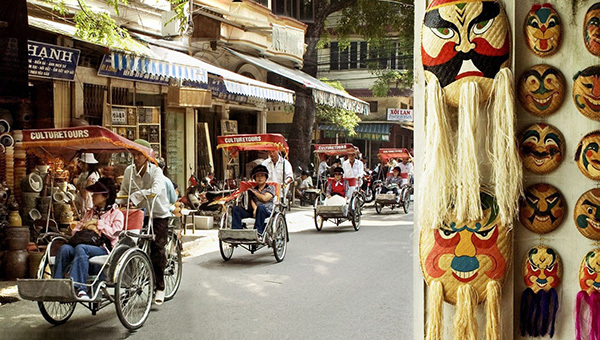 We’ve really done it this time: A complete cultural and visually stunning adventure to the whole of Vietnam! This time we’ll be exploring both the South & North, which in many ways are like two different countries (visually and culturally)! 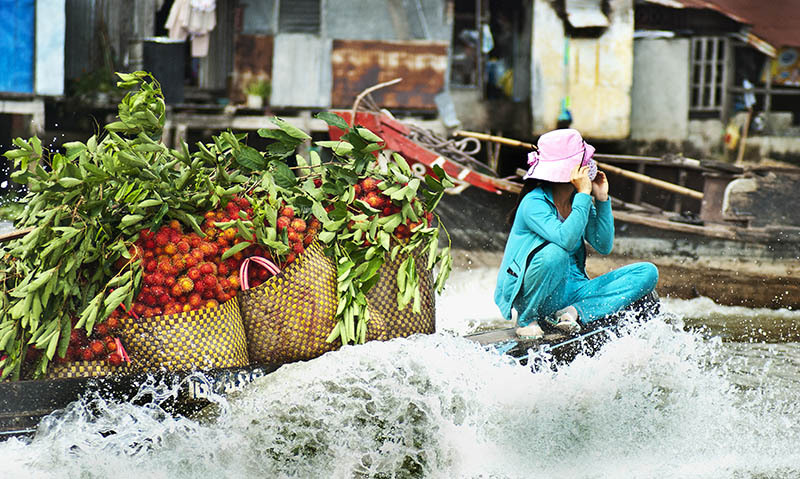 From the one-of-a-kind floating markets along the Southern Mekong River Delta, to the world famous natural wonders at Halong Bay in the North, to the countries best beaches and tropical waters, we’ll show you our favorite parts (on & off the path!) 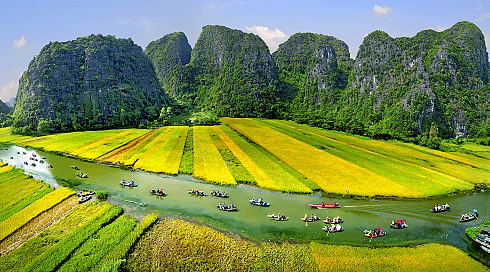 that this strikingly vertical country has to offer on our Vietnam small group tours. 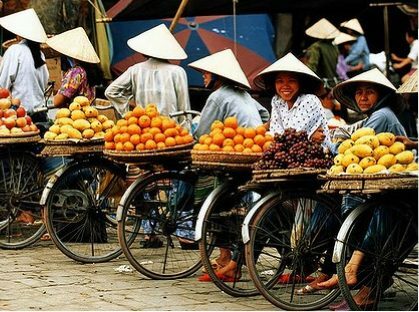 6 days in Northern Vietnam will take us through the Old Quarter of Hanoi to an interesting and delicious street food tour. 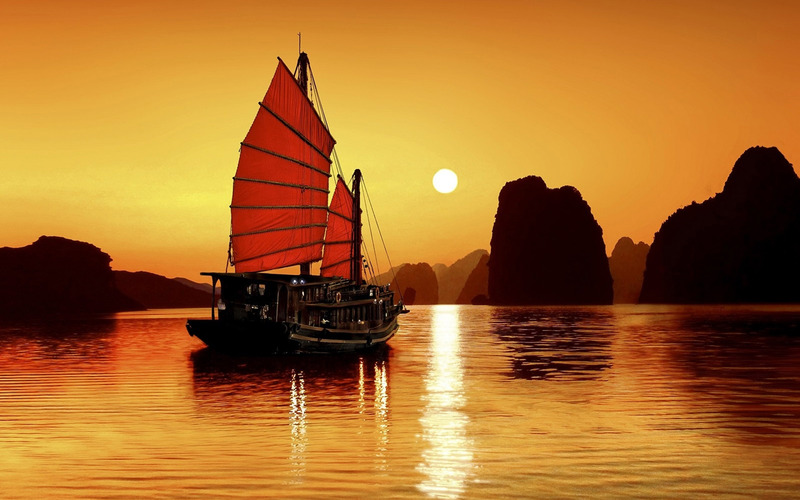 A 3 day exotic cruise in Halong Bay will complete this part of the journey in the best way possible! 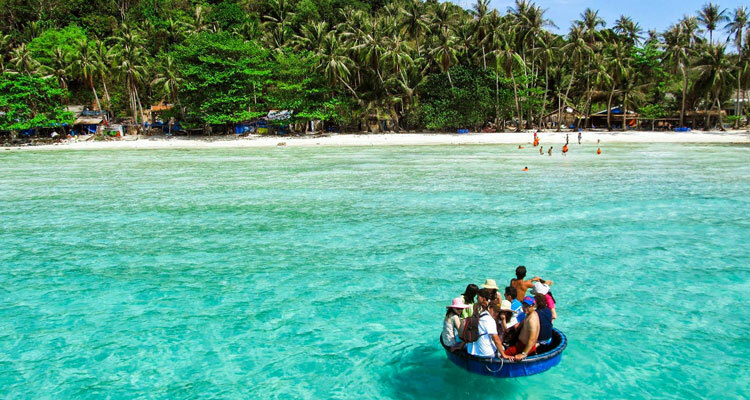 This breathtaking secluded harbour has 2,000 limestone islands rising from the emerald waters of the Bac Bo gulf. 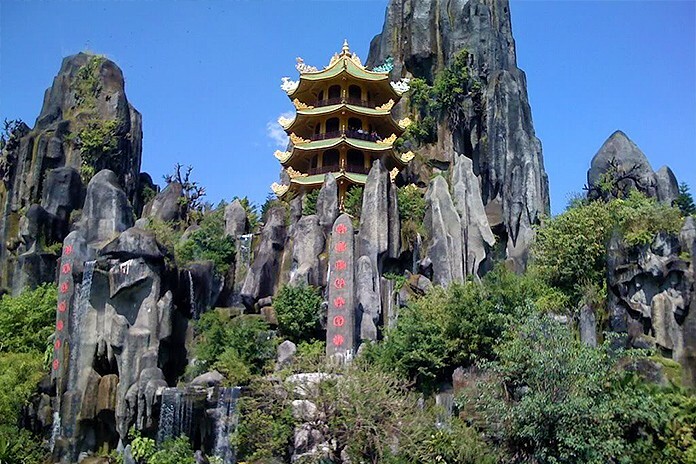 It is one of Vietnam’s most scenic regions and has been referred to as the eighth Wonder of the World. A great way to see spectacular Halong Bay is a slow cruise through the seemingly never-ending bay of islands. Lay in the sun, enjoy a selection of the freshest seafood, and take photograph after photograph. On our itinerary, the aim is to get off the beaten track while maintaining a leisurely pace. The size of the vessel allows passengers to get much closer to Halong Bay’s natural wonders, such as its pocket lagoons and small fishing communities. * Explore, kayak, and swim among hidden beaches, lagoons, and magical sea caves! PLUS, don’t forget to check out our Best of Vietnam’s Tropical Paradise Optional Extension Below! There is a $100.00 administrative fee for all cancellations. Cancellations made 120 days or more prior to departure are fully refundable except for the $100 fee. Cancellations less than 120 days prior to departure date will receive no refund of full amount due. No refunds on unused portions of the tour. After airline tickets are issued, airline cancellations are per the airline’s policy and are usually non-refundable and changeable with a fee plus new ticket price. 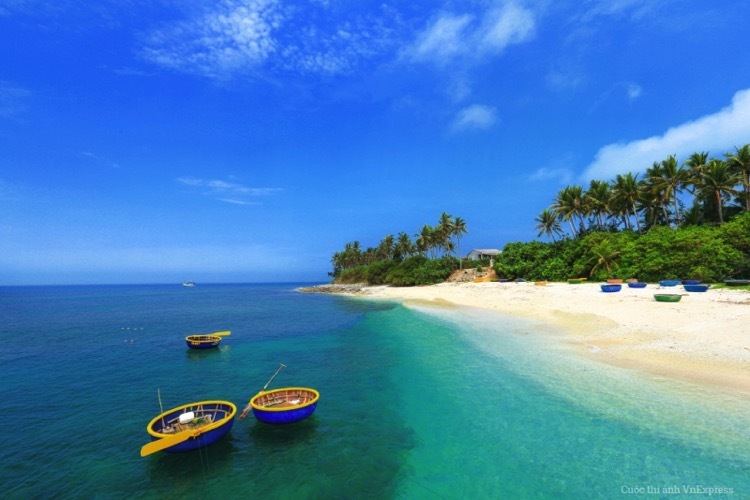 If you’ve come all the way to Vietnam it would be a shame not to continue on with us to some of the best beaches and coastline the country as to offer. 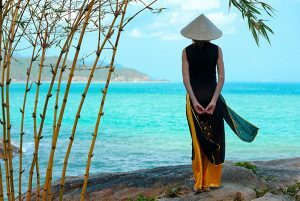 Relaxing in the sand and sun, snorkeling, & photographing the pristine beaches, and cultural oddities of the Central Coast (Da Nang & Hoi An) is not to be missed. * Free time to relax and enjoy the sand & sun! Strolling along the waterfront in tranquil Hoi An, it’s hard to imagine that this riverine town was once an important port and major player in the South- East Asian trading markets. 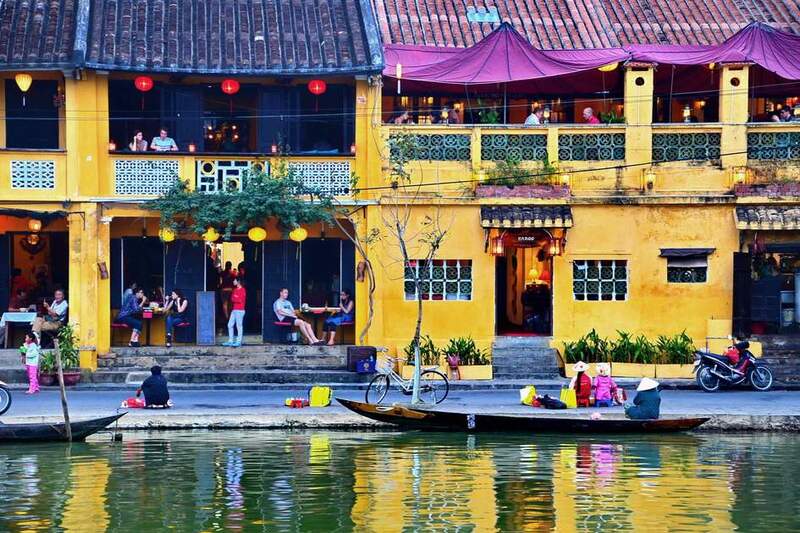 Today, Hoi An’s Ancient Town is listed by UNESCO as a World Heritage Site and without doubt one of the most attractive destinations in Vietnam. This exceptionally well-preserved example of a trading port which was active between the 15th and 19th centuries and its design reflects centuries of influences from both local and foreign residents. 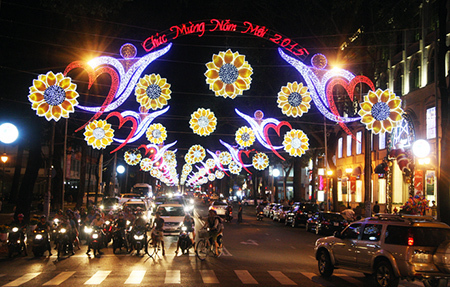 Colorful scenes of traditional merchant houses painted yellow and blanketed in purple bougainvillea present picture-perfect scenes and as night falls, delicatesilk lanterns create a rainbow of hues against the night sky. 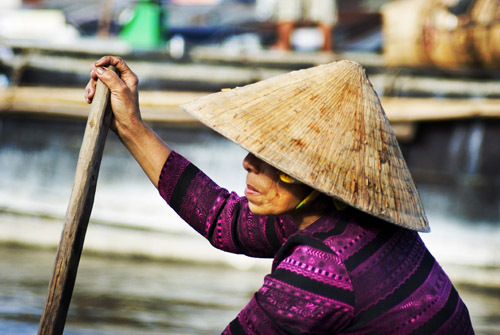 A destination in its own right, not only does Hoi An offer a diverse array of activities from cooking classes to bicycle rides, it is surrounded by natural beauty; from lush green rice fields to white sandy beaches. 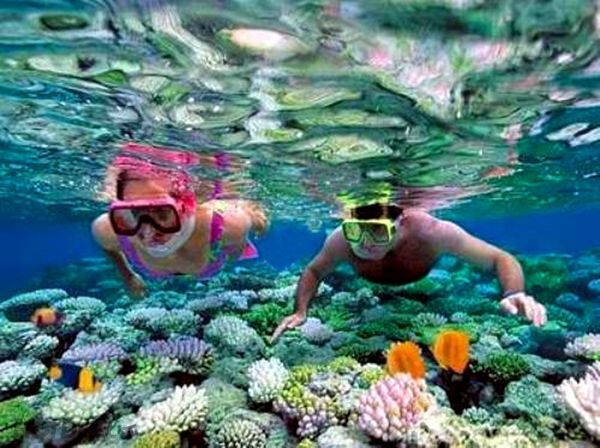 Cu Lao Cham Island & Snorkel Adventure!